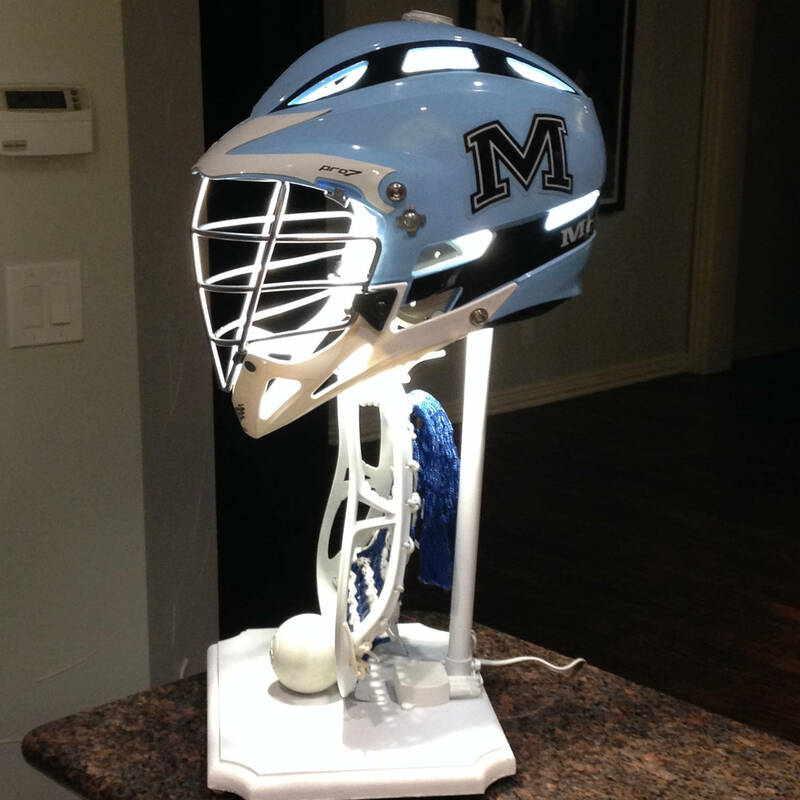 Big League Lighting has the answer to the age old question of “what to do with your old lacrosse helmets”. 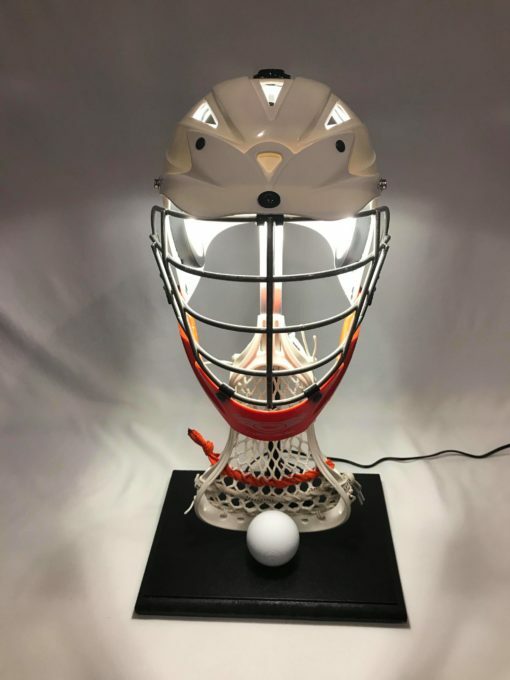 TURN THAT BAD BOY INTO A LAMP!!! 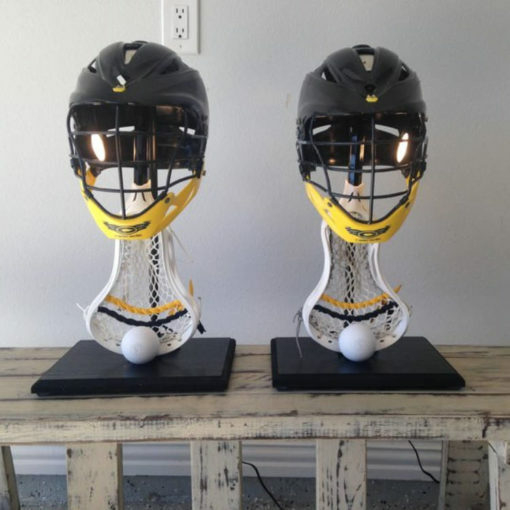 For those that have a sentimental attachment to their old helmets and sticks, you no longer have to watch them collect dust on your shelf with no utility. 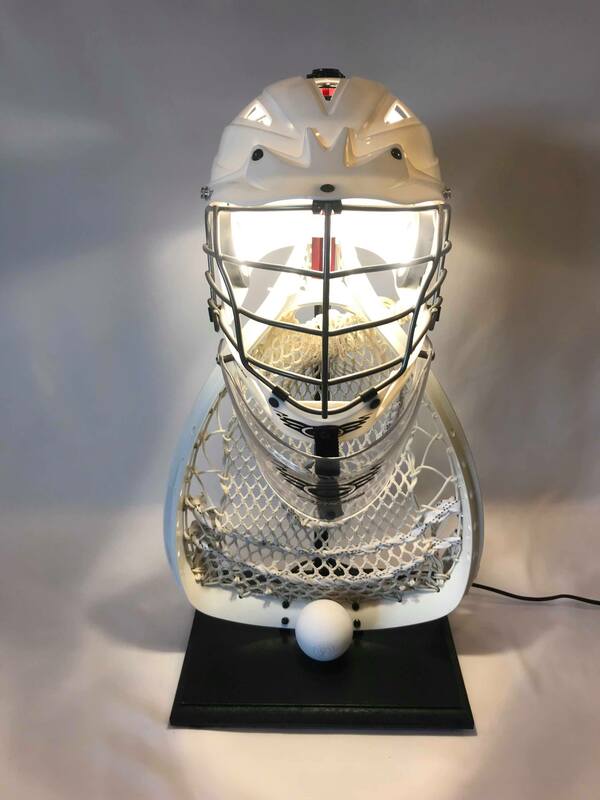 You can have your helmet (and stick) immortalized as an LED keepsake lamp turning your totally nonfunctional dust collector, into the coolest damn lamp money can buy…LITERALLY!!! Big League Lighting has the answer to the age old question of “what to do with your old lacrosse helmets”? 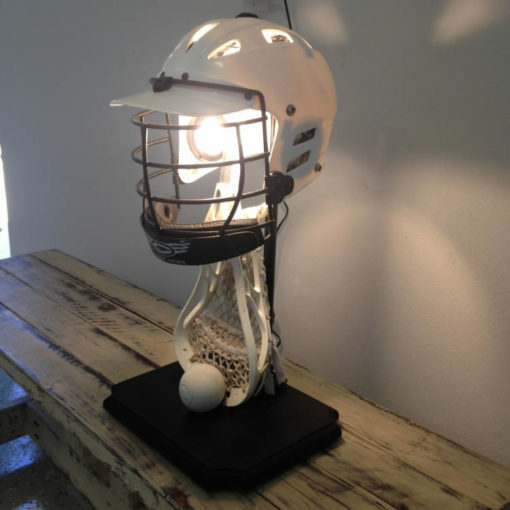 TURN THAT BAD BOY INTO A LAMP!!! For those that have a sentimental attachment to their old helmets and sticks, you no longer have to watch them collect dust on your shelf with no utility. 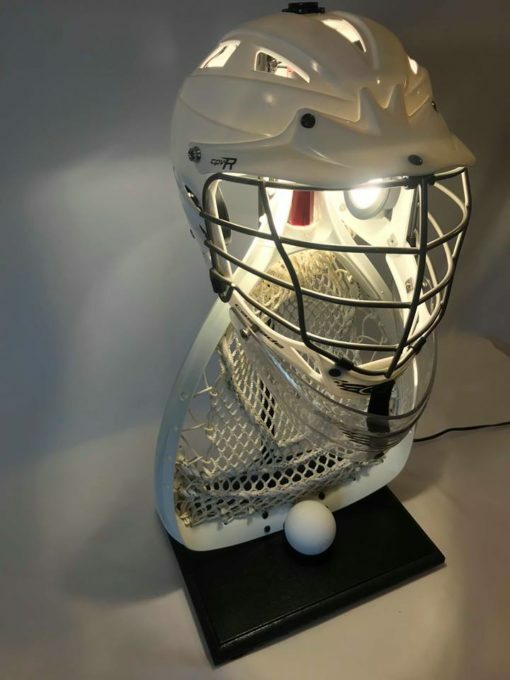 You can have your helmet (and stick) immortalized as an LED keepsake lamp turning your totally nonfunctional dust collector, into the coolest damn lamp money can buy…LITERALLY!!! 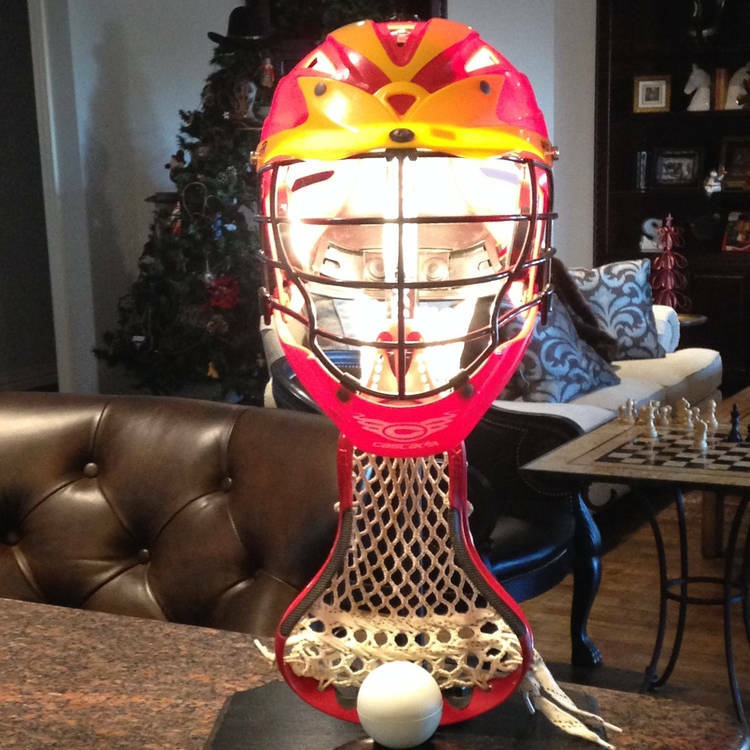 Order your lamp above. 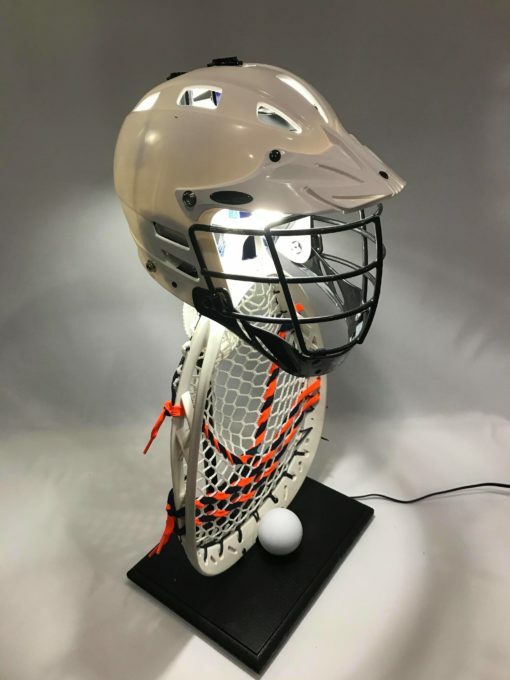 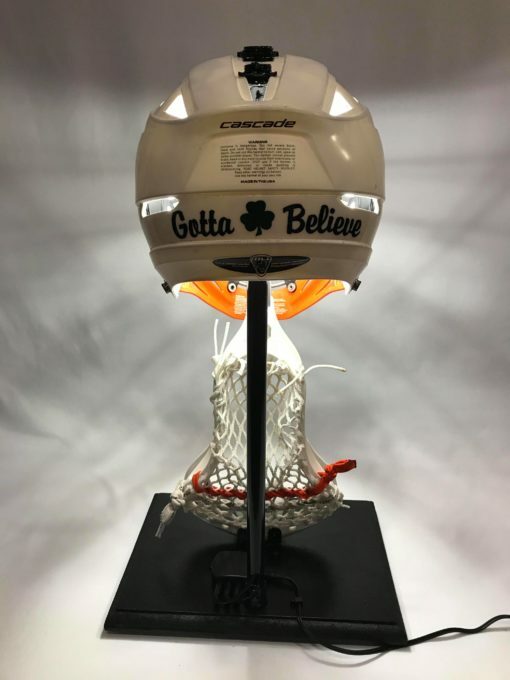 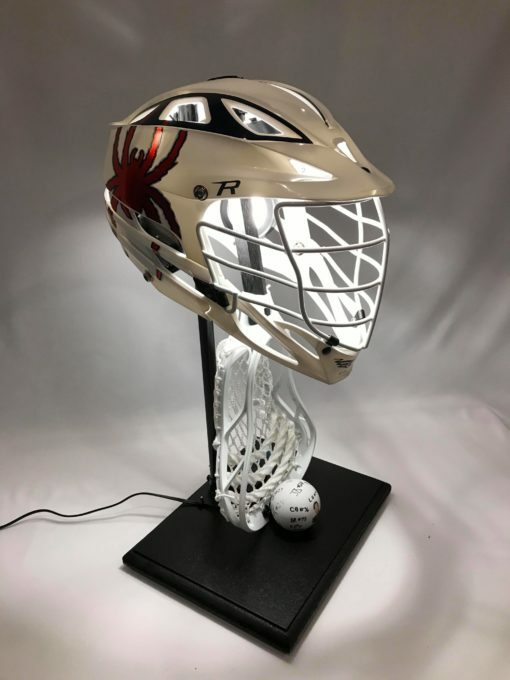 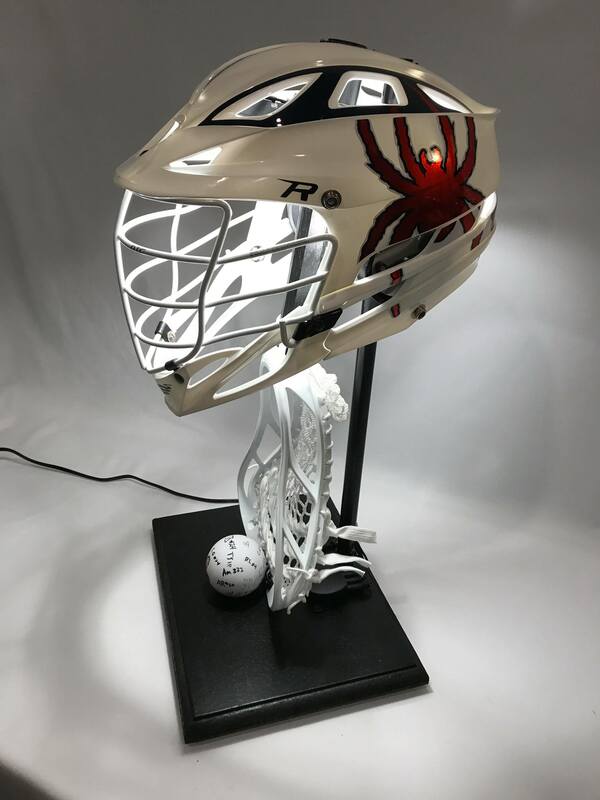 The $185 price tag includes both our fee to build the lacrosse helmet lamp ($150) and the cost’s associated with properly packaging and shipping the completed lamp to you ($35). 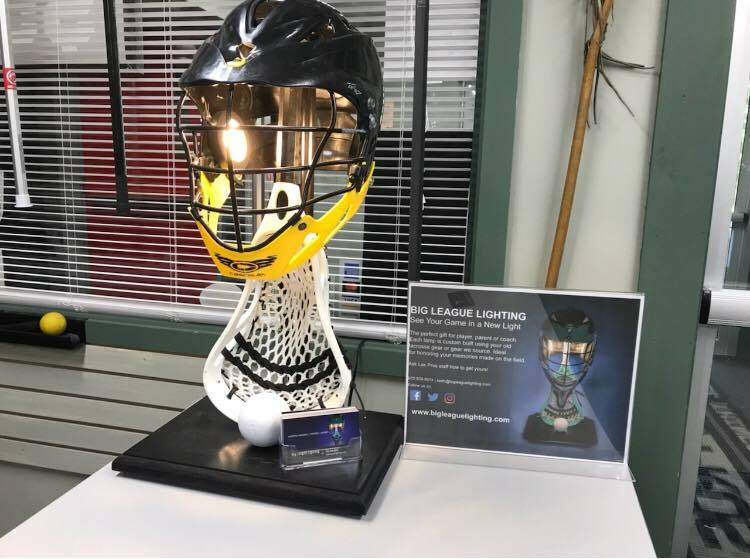 We’ll provide you a mailing address for you to mail your gear to after you place your order so that we can begin building your new lamp. Once receive your gear, we build your helmet and ship it right back to you. 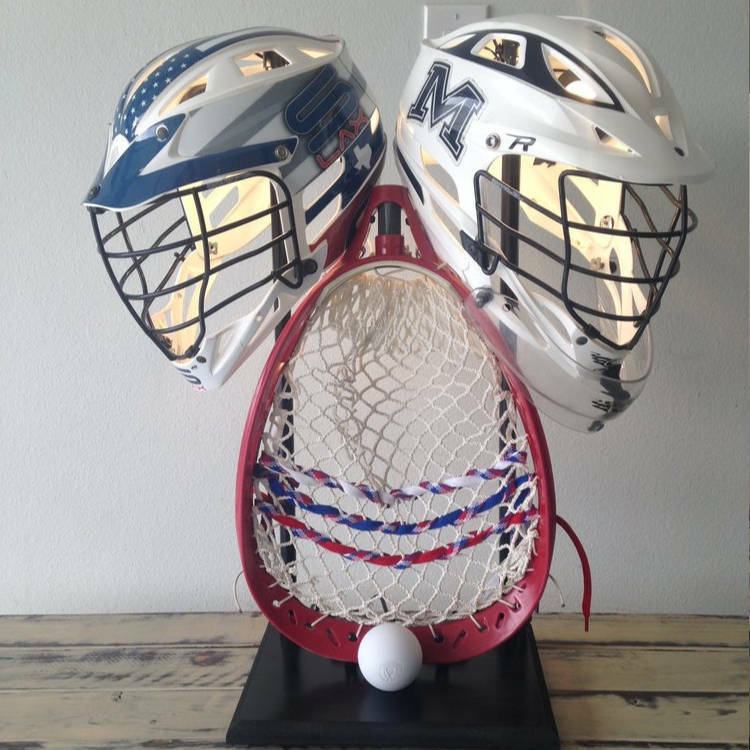 Once you get it, you enjoy and thank us over and over (and don’t forget about telling your friends).